Today’s event is of mythical proportions. I will be lighting the Castle Douglas in Rockwall. This facility is hands down one of my most favorite places to have events. What better way to be the princess of a fairytale wedding than to be at a Castle! The grounds are beautiful, the owners are just absolutely wonderful to work with and the building is just inspirational to look at. 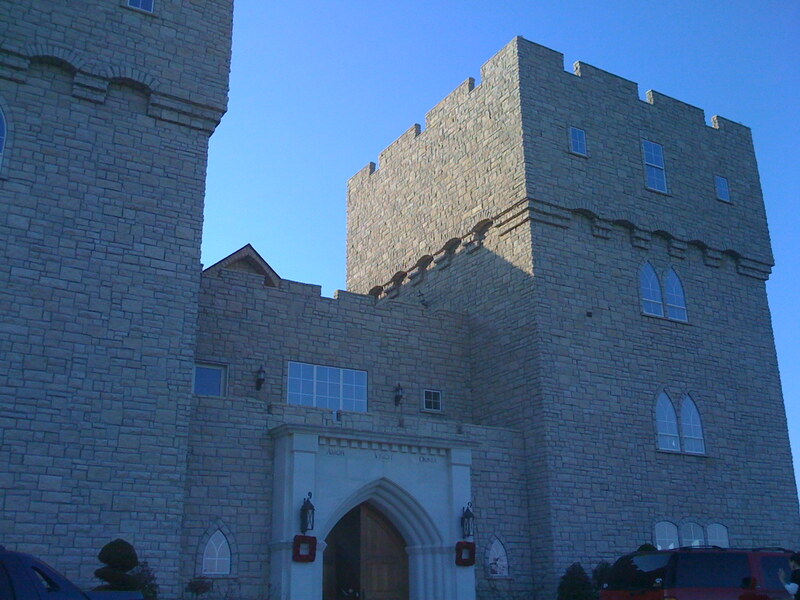 So the crew and I arrived at the castle at noon to begin setup for the 6:00pm ceremony. 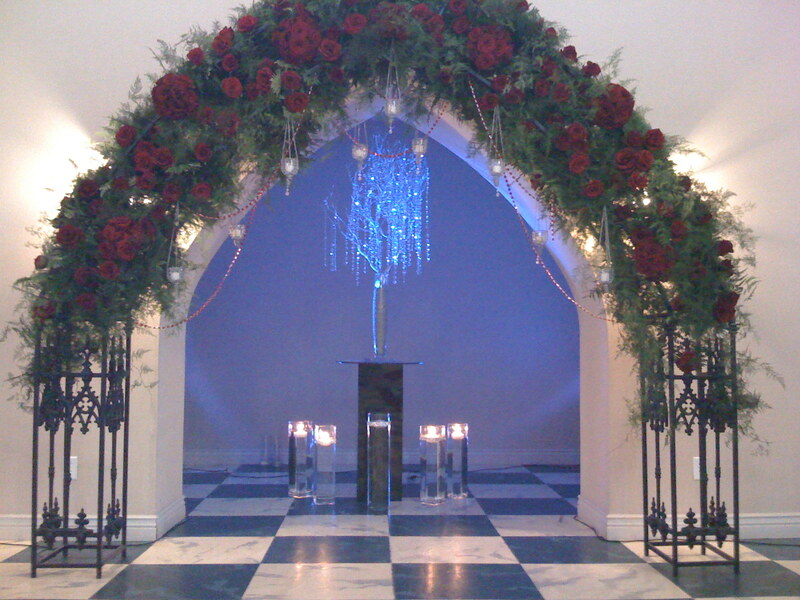 We would be lighting custom made crystallized rose trees throughout the facility along with up lighting in the Grand Hall and pin spotting in the cake room. 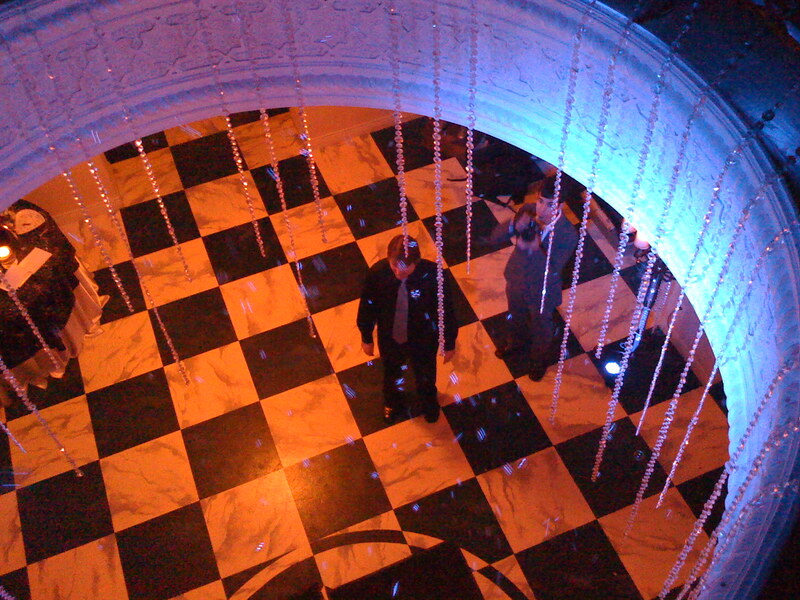 Also included in the lighting done tonight is dance floor lighting placed in the balcony of the Grand Hall and the dangling crystals from the peer through in the lobby. So to start us off we did the Grand Hall and the area where the large crystal tree would be placed for the ceremony. 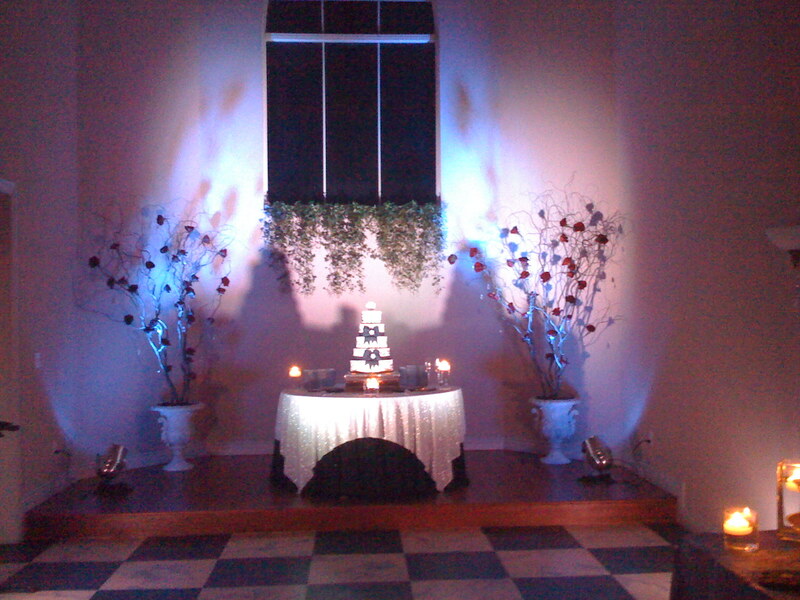 Then we went to work in the cake room up lighting the crystallized rose trees around the cake and then spotlighting the cake with LED spots. And lastly we lit up the peer through from the second story in the lobby. We had hung strands of crystals a round the opening of the circular opening and the blue light refracted of the crystals creating a unique shimmering of blue sparkles and soft glowing hues in the lobby which made every guest stop and look up for a minute. 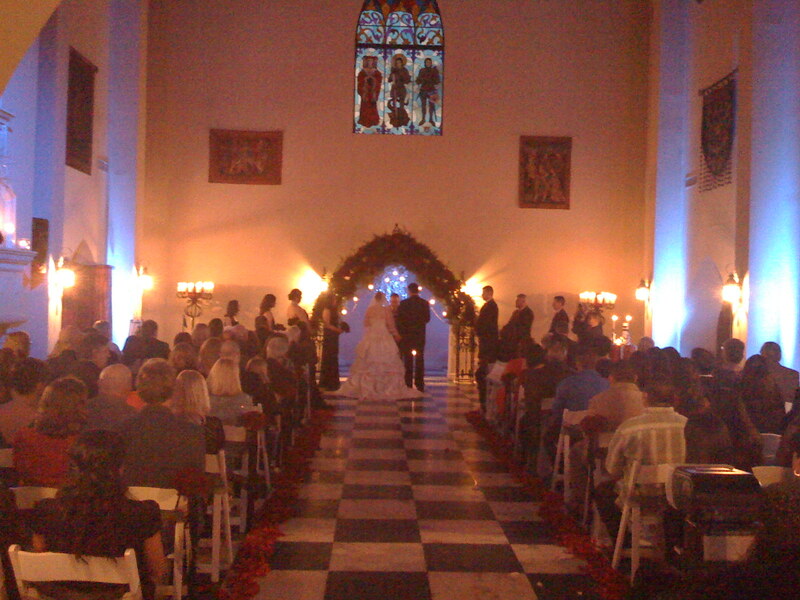 This entry was posted on January 17, 2009 at 5:01 pm and is filed under DJ/MC Industry, Weddings. You can follow any responses to this entry through the RSS 2.0 feed. You can leave a response, or trackback from your own site.